addressing any bullying or negative language being used in school. Schools across Scotland work hard to be inclusive. But there is always more to learn. LGBT Youth Scotland and the Scottish Trans Alliance have lots of good ideas for how schools can support transgender pupils. Here are some of their key principles for schools, which apply just as much to lesbian, gay and bisexual young people as to trans young people. Young people should be protected from discrimination, harm and abuse. Expressing gender is a healthy part of growing up. If an LGBT young person needs support, they should get this as soon as possible and in a way which is right for them. Being LGBT is one aspect of a young person’s life; but they may have other support needs too. LGBT young people should be involved in all decisions affecting them, understand any action which is taken and why; and be at the centre of any decision making. Wherever possible, staff should respect a young person’s right to privacy. Looking for more LGBT advice and support? LGBT Youth Scotland have got two great guides to coming out that can help you think about your sexual orientation and/or gender identity. There is one guide for trans young people and one for lesbian, gay and bisexual young people. 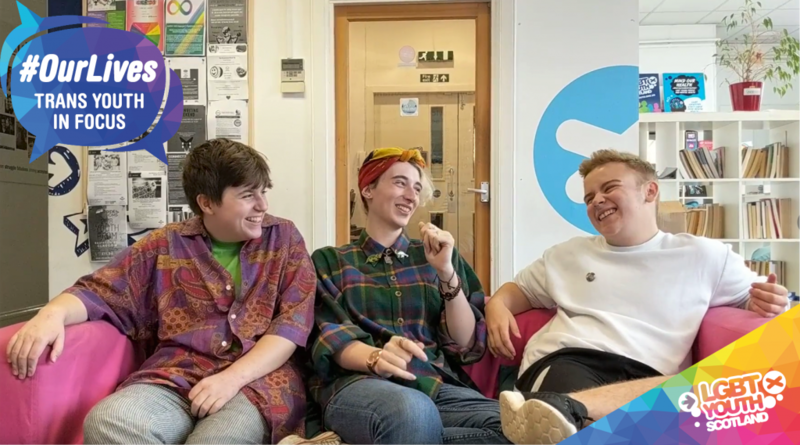 Find out about fun, supportive youth groups near you and get support and advice from LGBT Youth Scotland online. Check out this LGBT Youth Scotland film about coping with homophobic bullying in school.